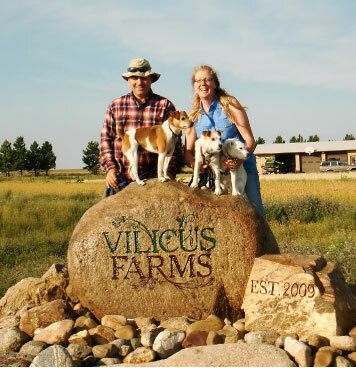 Vilicus Farms is a nationally recognized first generation, organic, dryland crop farm in Northern Hill County, Montana. Owned and operated by Doug Crabtree and Anna Jones-Crabtree, Vilicus Farms grows a diverse array of organic heirloom and specialty grain, pulse, oilseed and broadleaf crops. As champions of organic agriculture, Anna and Doug are committed to modeling agricultural land stewardship at a scale that matters, and to developing a community of like-minded farmers who share their vision. Anna and Doug launched a beginning organic farmer apprenticeship program in 2013 to support the establishment of new farmers in the Northern Great Plains. Since 2009, Vilicus Farms has grown from a 1,280-acre organic farm to a 7,400-acre organic farming operation that is cultivating a conservation-based ethic for sustainable food production and stewarding beginning farmers in Montana’s Northern Great Plains.